I was going to post this yesterday, but a few things came in my way so I didn’t have time to fix everything. But damn, they where good! I’ll post my reactions and thoughts about the E3 when I’ve seen the Nintendo direct also, I really hope Nintendo has something great to announce and a few surprises. Just a little reminder what the pizzas where for. My pizza to the left and my friend Elden’s on the right, he has a much sturdier hand than me. 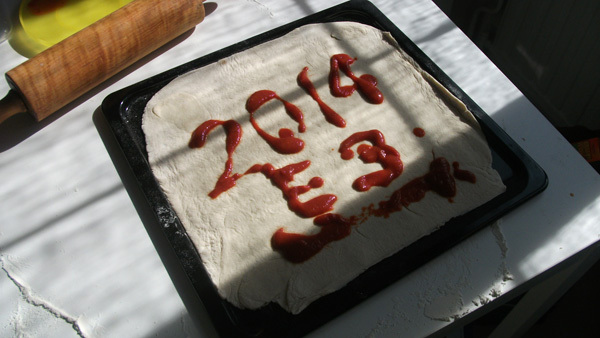 And had an easier time “writing” on the dough. 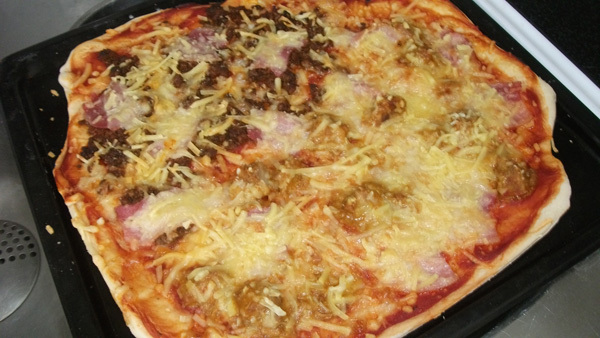 I covered my pizza with minced meat with taco-spices, bacon bits and a curry mix with bits of ham. 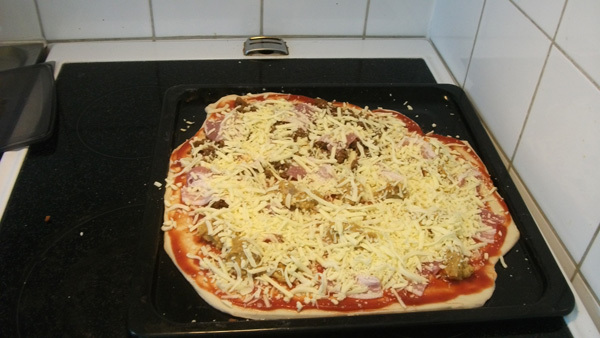 It was delicious as hell! 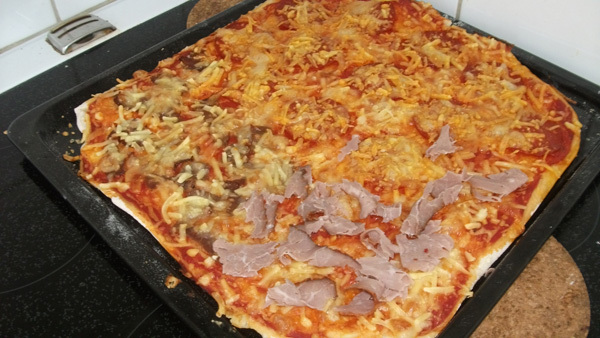 One of the best things I’ve ever had on a pizza! 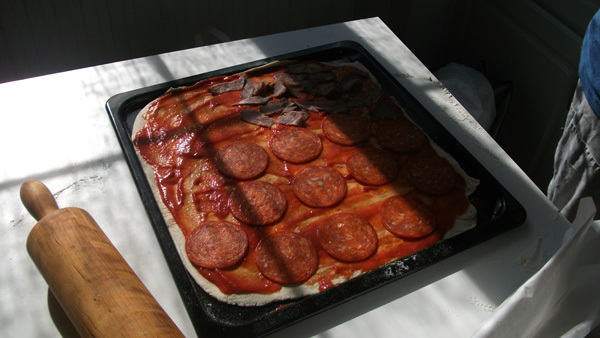 And Elden’s pizza with chorizo salami and roast beef, he liked it! Here they are both done! They where very delicious! Yummy! 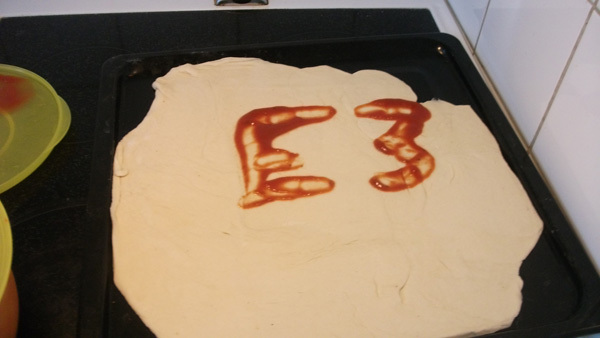 E3 2014 in a few weeks! I want to play a game. A pizza game.